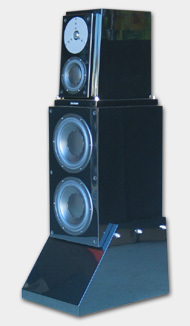 range mini floor standing speaker system. Dimension (H x W x D): 40" x 5" x 8"
Dimension (H x W x D): 40" x 10" x 14"
Shipping Dimension (H x W x D): 43" x 14" x 17"
made from treated pulp paper cones for the midrange and bass drivers. every detail of the shadings and decays in the reproduction of music. Weight (each) : 105 lbs. open sound while effectively reducing resonance within the cabinet. Dimension (H x W x D): 45" x 14" x 19"
can be filled with sand. The crossover is totally isolated from the other module. MkII to the summit of audio performance. 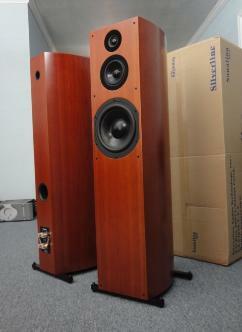 All speakers are shipped directly from the Silverline Factory located in Concord, California. Request More Information about Silverline Speakers! Weight (each) : 300 lbs.